Do you know a dedicated Fabregas fan? This stunning gift is sure to raise a smile, as the recipient receives a personal message from their favourite Chelsea FC player. 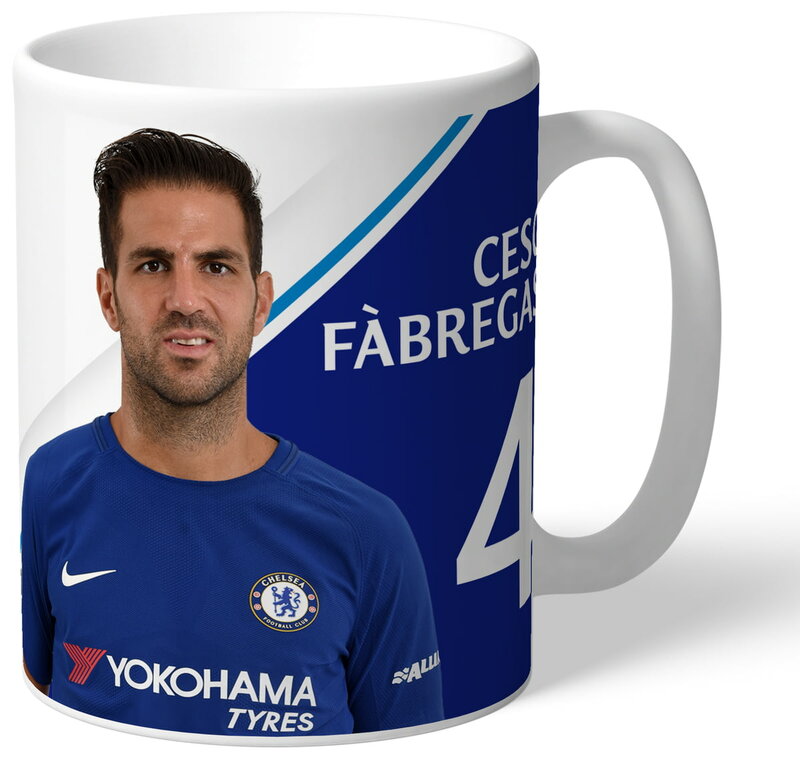 Printed on a high quality mug, the unique design displays the player's photograph, along with his signature and a personalised message. The design also includes the official Chelsea FC emblem. 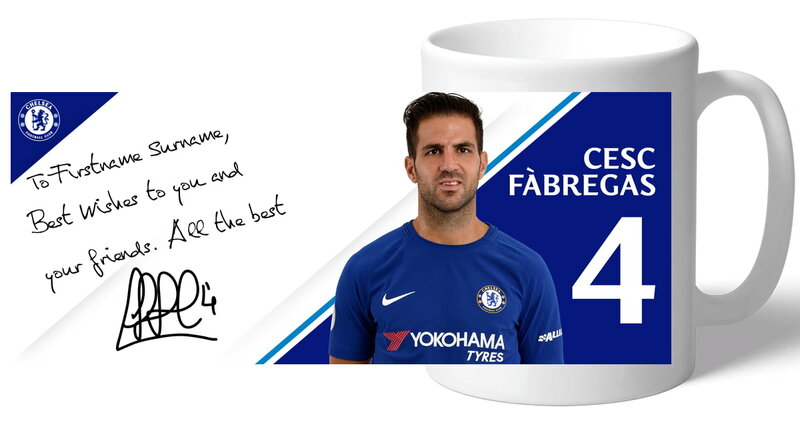 With a range of messages to choose from including Best Wishes, Playing Well, Club Ground, Father's Day, Birthday and Christmas, the Chelsea FC Fabregas Autographed Photo Mug is the perfect gift for any occasion. Our Chelsea FC mugs are dishwasher and microwave safe. Do you know a dedicated Cahill fan? This stunning gift is sure to raise a smile, as the recipient receives a personal message from their favourite Chelsea FC player. Do you know a dedicated Courtois fan? This stunning gift is sure to raise a smile, as the recipient receives a personal message from their favourite Chelsea FC player. Do you know a dedicated Hazard fan? This stunning gift is sure to raise a smile, as the recipient receives a personal message from their favourite Chelsea FC player. Do you know a dedicated Morata fan? This stunning gift is sure to raise a smile, as the recipient receives a personal message from their favourite Chelsea player. Do you know a dedicated Pedro fan? This stunning gift is sure to raise a smile, as the recipient receives a personal message from their favourite Chelsea player. Do you know a dedicated Willian fan? This stunning gift is sure to raise a smile, as the recipient receives a personal message from their favourite Chelsea FC player.